It’s a far cry from the frenzy of a few years ago when the city was at the center of a global property boom. Prices more than doubled in the decade through 2016, outpacing gains in New York and London. 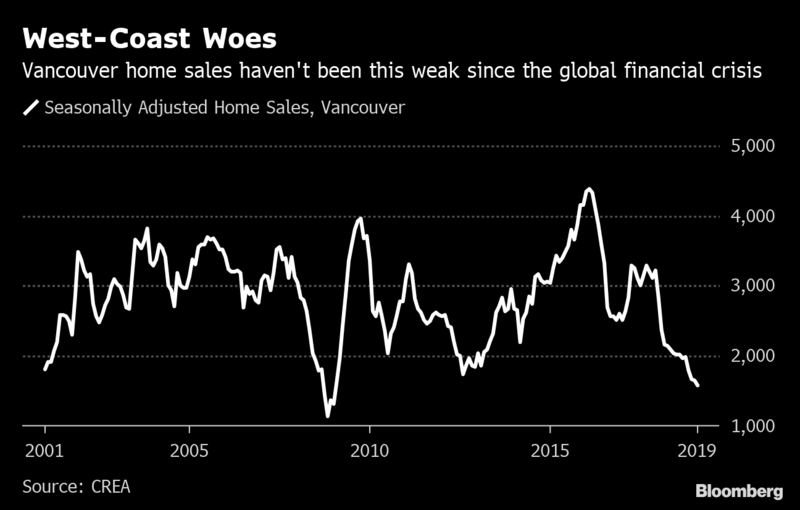 But government policies to tame the market—from new taxes to stricter mortgage regulations—have fueled a plunge in sales to the weakest since the global financial crisis. Prices are down 8.5 per cent from their peak in June, according to the Real Estate Board of Greater Vancouver. The owner of “The Castle” and the rental agency didn't respond to requests for comment. 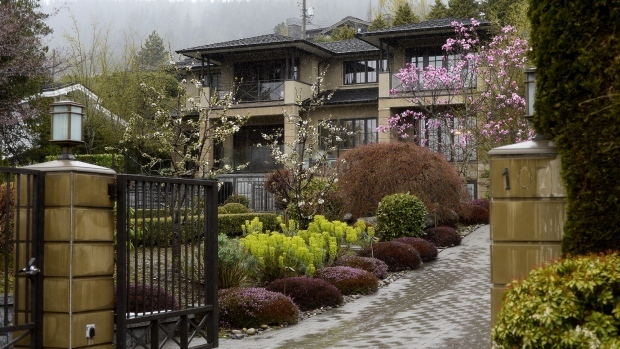 Lisa Sun paces around the Vancouver mansion she’s been hired to sell by its wealthy Chinese-Canadian owner. The family’s had it with the new taxes and what it sees as increasing hostility to Asian capital. Sun reckons that early last year the home would have easily sold for about $8.5 million—holes in the wall and all. Today, the 28-year-old realtor isn’t sure she’ll get a credible offer for the 8,343 square-foot mansion. These days a pool, wine cellar, and home theater on a prime lot aren’t enough to clinch a deal, even in West Vancouver, where opulent homes carved out of steep slopes overlook the ocean. Sun needs a “stager” to empty the house and brighten it up with new furniture, a modern chandelier, and lick of paint. He’s glad he waited. 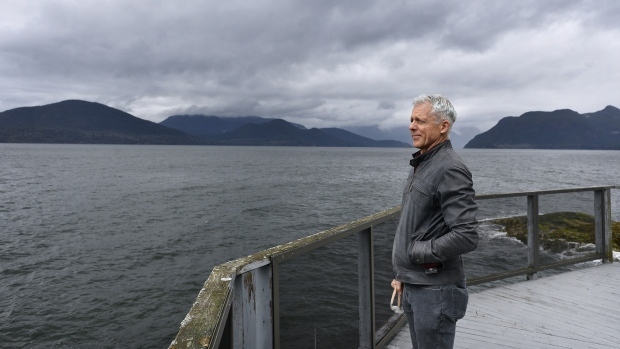 He now figures he might even be able to afford a detached home and is viewing properties at around the $1.1 million mark in East Vancouver. To make it affordable, he’s teaming up with his best friend to purchase the property—and offering way under asking. It hasn’t quite worked out yet. One offer for about $200,000 less than the listing price was rejected. 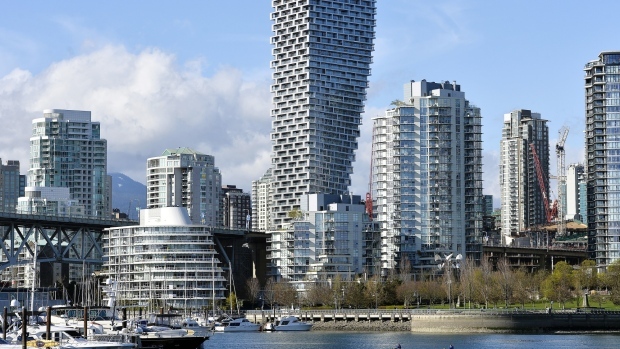 The twisty, cantilevered glass tower is one of Vancouver’s most hotly anticipated developments. It starts as a triangle at its base—wedged awkwardly between the on and off ramps of a downtown highway—before swiveling into a square at the top. “That’s an insane deal,” he said. Presales were once seen as a slam dunk—put down a 20 per cent deposit, flip the contract at a premium before completion, and pocket the gains. Those who bought at the peak need to find a buyer fast or come up with the full amount to pay the developer. With banks in some cases assessing units lower than the contract price, buyers hoping for a loan may face a shortfall. "There are no assurances right now," says Adil Dinani, a realtor with Royal LePage—some sellers may be lucky just to break even.